Posted September 2, 2014 under Ask the Mediatrician. 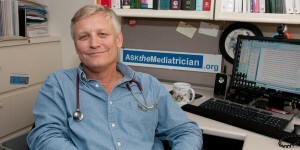 Michael Rich, MD, MPH of Boston Children’s Hospital, Harvard Medical School and The Harvard School of Public Health is “The Mediatrician”. He discusses where to find back-to-school tips for healthy media use. For more information and to submit your questions please visit Ask the Mediatrician.